only do it once, exiting a business/exit planning is no exception, which is why it is crucial to plan ahead and learn from the pitfalls of others, along with the insights of trusted advisors. It takes time to increase valuation, so don’t wait until you are ready to exit to start thinking about it; like any other aspect of your business, exiting should be strategic. 2. It’s good to pivot! 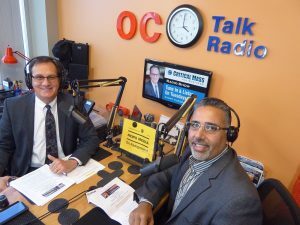 While on Critical Mass Radio Show, JJ Richa explained that often in business, an idea starts one way, but takes a few turns before hitting the market. While it may feel problematic that you are straying from your original vision, this is not usually the case. In order to thrive, you need to adjust your vision to something that works and fits the needs of the market. Pivoting often means you are listening. 3. A company will only grow as large as the leader is capable of leading it to. It takes different sets of skills to grow businesses to different levels. It is very rare for an individual to be able to take a company from zero to billions of dollars; only a handful have the skills to accomplish this. Don’t do it alone! Rather than push yourself towards an impossible task, augment so you can get through the different plateaus you may face over time as you transition through different brackets.